Jasmin is making progress on the Playful Stripes cardigan for Genevieve. Gigi finished a preemie hat and cast on another one. Jasmin has added a few inches to her Breezy Cardigan. Gigi is working on her Magic Carpet socks, with lots of modifications. Gigi has knit a bit on her Heathered Skirt out of Knitting 24/7 . She is planning to enjoy the Christmas mood, and embellish felted ornaments. Gigi has gifted a dear friend with a shawl. Jasmin is knitting another Kaanteinen hat for a very young friend, out of Claudia Handpainted Yarn in the Sharks colorway. Gigi reminisces about knitting things out of that colorway for Kid Brother Sam. Jasmin talks about her theme for next year, and she has chosen "Fish or Cut Bait", for next years theme. Gigi has chosen "Exploring Area 51". We are enjoying reading the thread of listener themes on the ravelry board. We answered a question from our "What do you want to hear about tread", from destined2knit, about why we ball up our yarn one skein at a time vs. all at once. Gigi has problems with the gauge for her Eadon for her SPAKAL. She was trying to knit the Uber Cowl for Jasmin out of Cascade Magnum, but the pattern had issues. Also, she downloaded too many videocasts, and that made her phone as slow as molasses in January. Congratulations to Erin, of Anatomy of Knitting, on the birth of her twin sons. This week we are purloining the Enabler segment from the Knitting in Circles videocast, hosted by Amy and Darren. Jasmin talks about CrankinSocks's Viewz boots by Skacel. She mentions a few other styles of clear shoes that were less than successful. She is happy about being able to show off her hand knit socks in them. Jasmin has been wearing her trekking socks. Gigi, again, has been wearing handknit socks every day, her Knitmore Girls cowl, and wristers every night. And her gray beaded Citron. 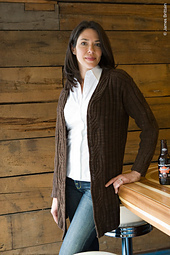 Jasmin wore her Tangled Yoke cardigan, and her Carli cardigan. Genevieve wore the baby mine cardigan that she was gifted by the Purlescence Girls. Low prep- high fun. We used the Crab Boil mix from Penzey's. Eggnog from The Joy of Cooking. Marcel's Chocolate Mousse from Top Chef The Cookbook . Creme Brulee French Toast. We made sweater size project bags with custom printed fabric from Spoonflower.com. The tutorial from Sew Daily left something to be desired. Gigi has finished some preemie hats, and has been working on a sock from Krafti-Kit. Jasmin is working on her Breezy Cardigan. Gigi had a hiccup trying to swatch for her SPAKAL sweater. Jasmin is working on the Playful Stripes Cardigan. Gigi just cast on for the Magnum Cowl. Jasmin mentions the list of reviewed books etc. on on the review tab on our show notes page. She has also knit another inch on Andrew's Houdini socks. Jasmin is getting ready to knit the Brianne cowl with Lisa Souza Lhasa cashmere yarn. We talk about Modern Family. We talk about pressing. We reference the Twinneedle podcast, and the Pressinatrix blog, and her article in Threads magazine. We talk about homemade eggnog. Jasmin mentions the eggnog recipe in This edition of the Joy of Cooking , and Strauss Creamery. Jasmin did some spinning on her mini spinner. We talked about the 2012 SPAKAL. We will have a 2013 SPAKAL, and a mini SPAKAL. We talk about cleaning your sewing machine. We found a tutorial for making gift/project bags. Gigi has finished a pair of wristers in the Dashing pattern for a Christmas gift. Jasmin put a few more rows on her Breezy Cardigan. She is complaining that she is running out of room to store her handknit sweaters. We are wearing Vanilla socks every day. Gigi wears fingerless mitts every night. Jasmin wore her hat out of Tess Yarn. Also, she is wearing her Looped Loop cowl. Gigi likes to wear her Knitmore cowl, and she wore her gray Citron. Genevieve wore her ravellenic Ribbed Baby Jacket and the Feather and Fan blanket. Also she was snuggling in the love blanket and wearing the Molly hat. We talk about saving the good stuff. Mom's advice: Enjoy the good stuff! We reference Galina. Gigi sewed a cover for Sam's backrest out of Spiderman fabric. We talk about Project Runway and matching fabric to project. All Gigi has to show for is that she finished the first sleeve on the Victorian Girl's Coat. Now she is searching for buttons. Jasmin has picked up her Breezy Cardigan again. We have been looking at pictures of finished SPAKAL Sweaters on the Knitmore Girls forum. Jasmin suggested Gigi knit the Tilted Duster, since her hand spun turned out too bulky for the Eadon. We talk about attending the Pajama Jammie Jam at Purlescence, and Gigi bought some Venezia in worsted weight to knit her Eadon. Jasmin also worked on her Daybreak. We talk about themes for new years resolution. Jasmin has picked her theme for 2013. We reference Tim Gunn's A Guide to Quality, Taste and Style . We are still searching for ideas for the shawlette Gigi wants to knit out of yarn from Lisa Souza for Dr. Gemma, from the Cogknitive podcast. Gigi has already knit an Aeolian and two Ophidian's. Jasmin mentions the Playful Stripes Cardigan, the Wee Wildflower Cardigan, and the Birds Headband, and Woolbur . Gigi hemmed some pants, and devised a strategy for dealing with her mending pile. She laid out her blocks for the log cabin quilt. Do you know people who wake up at 3:00 AM the day after Thanksgiving for those killer Black Friday deals? How do they do it! I'm recovering from all the cleaning and cooking and cleaning (again) from the day before. Heck, my stomach is still digesting pumpkin pie at 3:00 in the morning! Hats off to those Black Friday die hards. Like last year, I'm stayin in my pj's and grabbing those killer Cyber Monday deals. This year, I got my gift giving budget's back and trust me, I will squeeze it to the max. Rumor has it that Bar-Maids has another to-die for Cyber Monday special. Did you know that when you purchase a Sampler Pak from Bar-Maids you get a 15% off coupon? The samplers alone make perfect stocking stuffers, but the extra 15% means I am prepared. Don't wait! After purchasing the Sampler Pack, with coupon code in hand, my Bar-Maids cyber monday deal is a steal. Issue 7 of entangled magazine is out now! Issue 7 has articles on an inspiring Auckland weaver, a global business with heart, a knitter who nearly went mad knitting Doctor Who, and more! Much more! 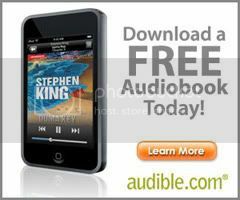 Find out just how much more at www.entangledmagazine.com. entangled magazine – the magazine for all fibrecrafters - is available through zinio.com or itunes app store – check them out, you won’t be disappointed! Gigi seems to be exclusively knitting on the Victorian Girl's Coat out of Venezia. Jasmin has knit zilch. Gigi has also knit a bit on her Brown Heather Skirt from Knitting 24/7 by Veronique Avery. Today's tip is:Keep it together. Gigi mentions the Odelia Cardigan, Tess Yarns Silk and Wool. Jasmin talks about Ecobags.com. Gigi wants to knit an elegant, beaded shawlette for Dr. Gemma out of Lisa Sousa Yarn in the squashblossom colorway, and needs pattern suggestions. This week we are reviewing The Knitter's Book of Socks , by Clara Parkes. Gigi has finished sewing the blocks on her first log cabin quilt. The next step is to sew the blocks into a quilt top. Sew painful: Gigi was sewing away happily when she noticed that her last six blocks had been sewn without any thread in the bobbin. Pin yourself onto the map on our ravelry board. The Sheep Shop is a welcoming yarn shop in the historic university town of Cambridge, England, only 50 miles from London. You'll find fabulous touchy-feely yarns, including a fine selection of local and British yarns, cashmere, angora, llama, a variety of wools and other bundles of wonder alongside what you need to knit &amp; crochet. We think choosing what you’re going to make and feel between your fingers is one of life’s pleasures, and we want to make it a pleasure for you to find what you need. Make yourself comfy on our sofa, there’s a Ravelry station and coffee on tap. Making beautiful things brings enormous satisfaction – let us satisfy you! VenusFueri from Subway Knits has started a fundraiser for Hurricane Sandy relief. Also, Judith Mackenzie McCuin has lost her studio in a fire and there is an effort to help her rebuild her collection of teaching supplies. Gigi has been working on the Bundi cardigan, and Jasmin is working on the sleeves of the Playful Stripes Cardigan and enjoying the progress. Gigi finished the No Tears Socks and did the finishing using the Judith McKenzie technique and the knitted graft from Knitting Daily. Gigi has started the Girls Victorian Coat, out of Venezia for Genevieve. She has started another preemie hat, using a cast-on from The Sock Knitter's Handbook. Prizes to be announced, closing date is January 6th. This week we are purloining the ZoraLoraDingDong from The Spindoctor Podcast, hosted by Sasha Torres. Issue 7 of entangled magazine is out now! Issue 7 has articles on an inspiring Auckland weaver, a global business with heart, a knitter who nearly went mad knitting Doctor Who, and more! Much more! Find out just how much more at www.entangledmagazine.com. - Internet Explorer has made some changes that causes issues viewing our shownotes. If you have trouble seeing our show notes, go to http://knitmoregirls.libsyn.com OR check out these suggestions from Microsoft. - We are moving our drop date to Wednesdays. - Facebook is charging to "promote" group pages, so go to the Knitmore Girls facebook page, and (after you've clicked on the "like" button) hover over the "like" button and click on "add to interest lists". We did our duty as responsible citizens and went out to vote as a family. Gigi has made progress on the Tiny Tealeaves Cardigan. Jasmin reminisses about finding stuff while cleaning her room. Jasmin knitted half a row on her Daybreak. Gigi cast on another preemie hat and is using The Sock Knitter's Handbook for learning different cast-ons. Jasmin has made progress on the sleeves of the Playful Stripes Cardigan. Gigi is knitting socks for Genevieve, and she has found UFO socks that she is going to finish. Gigi shares a trick for making sewing pins slick. Iris Silk Pins are the only pins Gigi will use. Gigi was attacked by the UFO socks, she had managed to knit the foot too long. The I-cord that she was knitting into her preemie hat did not make her heart sing, in fact, she thought it was ugly. This week we purloin "Something Local, Something Green", from the Fluffy Fibers Podcast, hosted by Isabelle. Jasmin didn't finish the mouse costume for Halloween, and was disappointed. Gigi saved the day! Gigi did some of the sewing and was very happy. We did a modification and added snaps at the inseams, for easy diaper changes. While winter brings feeling of nesting or hunkering down, it also means a picking up a piece or two of handcrafts. The oven works overtime for those holiday family favorites, quilters stitch just a tad faster to complete works of art before gift giving officially opens, and knitters dash to their local yarn store to squeeze in one more scarf or pair of socks for that last minute gift. As you are crafting wonders, Bar-Maids continues to handcraft yummy goodness for your skin ... all to to help you....even if you continue to create into the wee morning hours. Bar-Maids handcrafts their products with natural skin loving oils and butters; everything your skin needs to keep it soft and moisturized and nothing it doesn't. Since you use our hands a tad more in this season, let Lo-Lo help keep them moisutrized. It's simple! Get your hands wet, shake the water off and get your Lo-Lo on before you pick-up needle, cookie cutter, or drop spindle. Gigi is making slow progress on her No Tears Socks. Jasmin is enjoying knitting the hem of the Playful Stripes Cardigan, and her sharp ChiaoGoo Needles needles are making it easier. Gigi is knitting socks for Genevieve out of yarn left over from the Hobbit Sock. Gigi finished her second Shawl Collared Cowl. Also, she is knitting the Tiny Tealeaves Cardigan out of eggplant colored Madeline Tosh dk. Jasmin mentions GreenTriangleGirl, from the A playful day podcast. We discuss the finale of Project Runway. We answer a listener question about etiquette on self promotion for pattern designers. This week we purloin the adventurous spirit and love of all things unusual from the electric sheep from the Hoxton Handmade Podcast. Gigi reminisses about Halloweens past. Knitting Never Felt Better , by Nicky Epstein. Jasmin is working on a mouse costume for Genevieve (Simplicity 2506 ). She is inordinately impressed with the paw applique that Gigi did for the soles of the booties. We were going to do reverse threaded darts, which is a really elegant technique. Gigi has finished her Shawl Collared Cowl and started another one in black. Jasmin is working on the Playful Stripes Cardigan, also by Alana Dakos. Gigi is swatching for a Lana Grossa Luxe shawl, but is practicing the pattern on sock yarn, since the yarn is delicate. Jasmin is working on a Houdini Sock for Andrew. Gigi has unearthed a UFO: a color work sock from The Little Box of Socks . Gigi has started the Tiny Tealeaves Cardigan out of Madeline Tosh DK. And she is plugging away on the No Tears Sock. Jasmin mentions Meliabella from the His and Hers podcast, and Gigi talks about the Savvy Girls podcast. Gigi has been attacked by the Tiny Tealeaves Cardigan. Jasmin was attacked by the picots of her Playful Stripes Cardigan. Gigi finally knitted her swatch for the SPAKAL. Jasmin has been spinning her Merino Border Leicester cross, she is thinking of doing a Hannah Fettig (Yoked Cardigan) sweater out of it. And she murmured about a 2013 SPAKAL. Gigi fixed an uneven edge on a onesie for Genevieve, and is happy with it now. Jasmin has been working on Genevieve's Halloween mouse costume (Simplicity 2506) . She is using The BurdaStyle Sewing Handbook for reference. So we’ve addressed the issue of dry, cracked, angry hands. 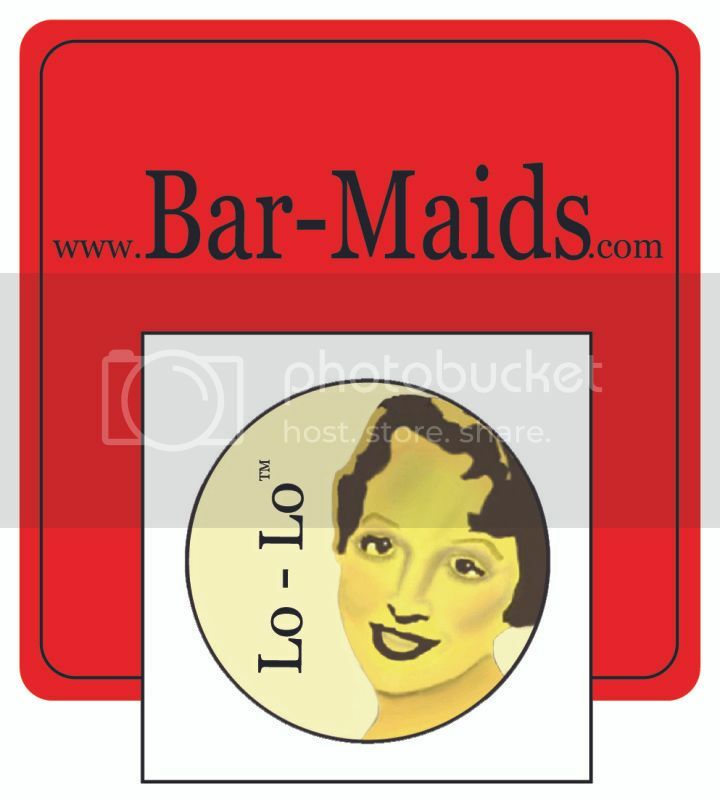 The unparalleled Lo-Lo Bar by Bar Maids does a great job healing and protecting skin and making sure we feel pampered. But even the most amazing moisturizers need a helper sometimes. Cuticle Intensive by Bar Maids is like the jelly to Lo-Lo Bar’s peanut butter! The applicator is so easy to use that you can literally put it on while sitting at a traffic light. The tube last longer than it takes to make a brioche bedspread! This incredibly effective cuticle cream takes your irritated cuticles, infuses them with sorely needed moisture, and solves the issue of peeling, sore fingers in a snap! Simple application, no rubbing necessary, no problem! Fingers rejoice! Issue 7 of entangled magazine is out now! It's fresher than a spring lamb! Gigi is working on her second No Tears Sock, and planning to change the heel. Jasmin is working on the Walk of Shame socks. We mentioned the Knitted Graft, and Judith Mackenzie McCuin's method of cutting yarn. Gigi has gotten to the shoulders of her Odelia cardigan. 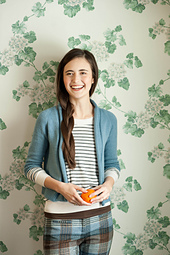 Jasmin cast on the Playful Stripes Cardigan by Alana Dakos, who also has designed Coastal Knits cardigans. Gigi is knitting the fronts of the Bundi cardigan, and Abby From the Knit Knit Cafe had a very constructive suggestion. Jasmin is plugging away at the Breezy Cardigan. Gigi finished her Sweet Tomato Heel Socks and started a preemie hat out of leftover yarn from her Ophidian Shawl. We mentioned Randall Children's Hospital in Portland, Oregon. November is the period of Purple Crying and Shaken Baby Syndrome, and if you want to knit a purple hat to donate to this cause at your local county hospital, they would appreciate it. We list out favorite yarns: Regia sock yarns, Tess Yarns sock yarn, Abstract Fiber Miro , Tess Microfiber Ribbon. We mentioned the Knit Wits.We recall a memorable dinner at Sock Summit with Syne Mitchell, the Tsarina of Tsocks, Sandy Wiseheart, Jennifer Holiday. We reminisce about a Black Sheep Trip, Oregon Flock and Fiber, Sock Summit, the Church of Elvis, the Button Emporium, Josephine's Dry Goods. Brenda Dayne inspired Jasmin to start podcasting. Reminiscing, Gigi mentions Burda Magazine, sewing classes at West Valley College. Gigi was attacked by her Ophidian. This week we review Knit One Knit All by Elizabeth Zimmermann. Gigi does some finishing on baby blankets, Jasmin gets started on Genevieve's Halloween costume. We attended the Pacific International Quilt Festival. Specialty's sandwiches are amazing for events at the Santa Clara Convention Center. i.C/E Serum is the perfect daily/nightly eye treatment. With nourishing and protective antioxidants, this lightweight formula absorbs easily into the skin to deliver stunning results. i.C/E Serum is a powerful combination of natural ingredients which encourages skin regeneration, leads to tightened and toned skin due to its astringent qualities, and contains potent antioxidants which help to slow down the visible signs of aging. Gigi has finished knitting the Sister Joan Shawl, and is looking for new bonbon knitting. Jasmin is working on her Breezy Cardigan again, and enjoying it a lot. Gigi has finished knitting the Hobbit socks. Jasmin finished Andrew's Latte Houdini socks, and has started a new pair of socks for him. Gigi had finished the knitting part of the Featherweight Cardigan and excavated a UFO: the Odelia from Cocoknits out of Silk and Wool from Tess Yarns. Jasmin is working on sleeve number 4 of Andrew's Baseball Jersey, and is thinking of steeking it. Gigi was planning to knit another shawl, mentioned Romi Hill Designs, and has excavated a former UFO: the Shawl Collared Cowl. Jasmin is knitting socks out of the "Walk of Shame" colorway from Little Red Bicycle. Gigi is working on her Bundi cardigan, and has decided not to do it as magic loop, but rather on two needles. Genevieve is outgrowing her little sweaters, and Jasmin is getting ready to swatch Playful Stripes for her. Gigi neglected to enter the date for her quilting class on her calendar, and subsequently missed the class. This week we are purloining the cake from the Knit.Spin.Cake podcast, hosted by Aimee. Gigi reminisces about Kaffee und Kuchen in Germany. Jasmin references The New York Times Dessert Cookbook . Gigi picked up a bolt of muslin to sew trial versions of sewn garments. We are thinking of sewing the vintage coat designed by Gretchen, Butterick Patterns B5824 , from Gertie's New Blog for Better Sewing. Gigi looked at the site for Britex Fabrics. For Halloween, Jasmin is planning to sew a mouse costume (Simplicity 2506 ) for Genevieve. Jasmin has finished the first (third?) sleeve on Andrew's Baseball Jersey, and has started the second (forth?) sleeve. Gigi has finished the knitting part of her Featherweight Cardigan. Jasmin is making socks out of yarn from Little Red Bicycle, and Gigi is almost done with her Hobbit Socks. Gigi is enjoying knitting in bed, working on the Sister Joan Shawl and listening to the Knitting Pipeline podcast. Gigi has excavated her Brown Heathered Skirt from Veronique Avery's Knitting 24/7 . We mention Brenda Dayne and the Lanesplitter skirt which we mistakenly called Sidewinder Skirt. Gigi has cast on the Bundi Cardigan out of Louisa Harding's Cardigans . We answer a question from our "What do you want to hear about?" thread. 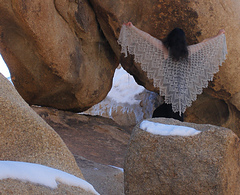 We mention the Lady Eleanor Shawl , the Lily of the Valley Stole and the Frost Flowers Shawl. Niebling patterns and Eugen Beugler are referred to. We also mention the Looped Loop Cowl, and Voolenvine. This week we are purloining Book Talk, from the 2 Knit Lit Chicks podcast, hosted by Tracy and Barb. We both are reading Game of Thrones . Jasmin was listening to Bringing Up Bébé . Jasmin likes Whispersync, and she talks about Dracula, read by Tim Curry and Alan Cummings. Also mentioned: Frankenstein, and Hunger Games. Jasmin is reading "Deadlocked " from the Sookie Stackhouse series. Jasmin has finished a stack of baby night shirts McCalls 6103. She has cut the fabric for a nursing top: Jalie 2787. Threads magazine now lets subscribers download digital copies as well. Jasmin has been spinning on her sidekick before bed, and talking to Meghan of Stitch It. And she has been spinning on the Minispinner. Gigi fired herself for not having swatched for her SPAKAL. What do Vikings and Hobbits have in common? Issue 6 of entangled magazine has the answer. Issue 6 of entangled magazine is out now and is available through zinio.com or itunes app. Entangled magazine for passionate fibrecrafters everywhere. 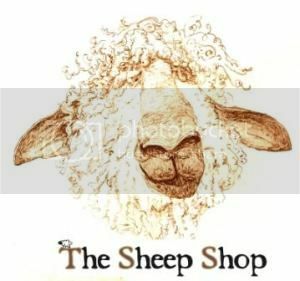 "The Sheep Shop is a welcoming yarn shop in the historic university town of Cambridge, England, only 50 miles from London. You'll find fabulous touchy-feely yarns, including a fine selection of local and British yarns, cashmere, angora, llama, a variety of wools and other bundles of wonder alongside what you need to knit &amp; crochet. We think choosing what you’re going to make and feel between your fingers is one of life’s pleasures, and we want to make it a pleasure for you to find what you need. Make yourself comfy on our sofa, there’s a Ravelry station and coffee on tap. Making beautiful things brings enormous satisfaction – let us satisfy you!" This week Gigi has finished the second (fourth) sleeve of her Featherweight Cardigan, and is working on the neckband. Jasmin is getting close to finishing the third sleeve of Andrew's Baseball Jersey. Gigi has numbered her Sister Joan Shawl chart and is making amazing tracks. Jasmin is making some progress on her Daybreak. We are wondering about pirate lessons from Knit Knickers Nick (the pirate), from the Knit Wits Podcast. Gigi swatched for the Bundi Cardigan. Jasmin needs to swatch for a sweater for Genevieve. We are sharing weird dreams and Jasmin mentions White Collar, and Gigi has a dream triggered by What you Missed in History Class. Gigi talks about stolen moments, and maximizing what little time there is. We also offer the term "Whackamole" vs: "Full in full out". Please weigh in. Jasmin has been working on the shoulders of the Baseball Jersey and finds that she has more raglan shaping ahead of her. Gigi has decided that to avert all kinds of mishaps, she needs to read the pattern every time before she starts knitting. This week we are pillaging the "Mindless Knitting" segment from the Fiber and Fabric podcast, hosted by Glen. We talk about good stuff making you feel good. Jasmin anticipates wearing her SPAKAL sweater, and Gigi's Cassidy Sweater makes her happy. Jasmin skeined and set the fiber she spun during the Tour de Fleece. She references Shanon Oakey's book Spin to Knit , and Tyvek wristbands . She is working on her Hansen Mini Spinner, and her Sidekick spinning wheel. Purlescence Yarns is thrilled to welcome Ava T. Coleman and Donna Druchunas for a very special event. Stories &amp; Stitches will introduce a new line of historical lace designs, featuring the work of Anna Marie Jensen and Dorothy Reade, pioneers in the world of published lace patterns. Ava and Donna will present the work of these remarkable women and the stories that go with them, including 6 lace designs for a sampler. Gigi has finished the knitting part of her Mishke. While Jasmin is working on sleeves for Andrew's baseball jersey, Gigi is working on the sleeves of her Featherweight. Jasmin finished Genevieve's Mini Mondo Cable Cardi. She is thinking of getting special order zippers for both of their Mondo's from ZipperStop.com. Gigi is halfway done with her Sister Joan shawl. Jasmin blocked the Debbie Bliss Ribbed Baby Jacket. Gigi did finishing work on a purse, using iron on interfacing. We mention Project Runway, and Tom and Lorenzo's blog comments. Our new mother gives some advice about attending spinning events. This week we purloin "The Anatomy of....", from The Anatomy of Knitting Videocast, hosted by Erin. We talked about attending the wool auction at the Monterey County Fair. We also looked at the Home Arts display at the fair. We think that knitters should be entering the judging. Monterey, Santa Cruz, Santa Clara, San Louis Obispo County residents are eligible to enter. Also mentioned, Joan from Monarch Knitting and we reference the Band Candy episode from Buffy. This week we review The Sock Report Volume One, edited by Janel Laidman. We are itching to start serious sewing and we review Gertie's New Book for Better Sewing . We mention Gerties patterns and Gertie's blog and her classes on Craftsy. Gigi is spinning on Turkish drop spindles, just to keep practicing. Jasmin is swatching her yarn for the SPAKAL, and doing 3, 4 and 5 ply swatches. She is working on a Merino Border Leicester cross fleece on her MiniSpinner. We review "The Gentle Art of Plying" DVD, by Judith McKenzie McCuin. Jasmin mentions The Intentional Spinner , and Teach Yourself Visually Handspinning . I can never decide what I want. Maybe it’s because I deserve it all. And I think we ALL deserve a little taste of everything. Bar Maids, the makers of the fantastically moisturizing, all-natural Lo-Lo Bar, understand this. They have an AMAZING offer, and the answer to your dilemma. The Everything Please! Allows you to try all of their most popular products, in any of the scrumptious scents of your choice, all at once! It comes with a Lo-Lo Bar, Lo-Lo To Go bar (perfectly portable for your purse, knitting box, car, diaper bag, wherever! ), Lo-Lo Lips, cuticle intensive, Oh For Feet Sake foot moisturizer and your choice of original, +20 or +50 face pudding. That’s a lot of beauty in one little bag. If you can’t decide, now you don’t have to. Be as indecisive as you want, but just be sure to decide that you’re worth pampering, and let Bar Maids do all the heavy lifting! Buuuut, you still have to choose your scent… But don’t worry, you probably will definitely not most likely choose the right or wrong one. Good luck! Purlescence Yarns is thrilled to welcome Ava T. Coleman and Donna Druchunas for a very special event. Stories &amp; Stitches will introduce a new line of historical lace designs, featuring the work of Anna Marie Jensen and Dorothy Reade, pioneers in the world of published lace patterns. Ava and Donna will present the work of these remarkable women and the stories that go with them, including 6 lace designs for a sampler. Ava &amp; Donna are frequent contributors to Piecework, Knitting Traditions, Crochet Traditions, Spin-Off, and other publications. They are leaders in the field of historical textile scholarship &amp; preservation. Stories &amp; Stitches will be at Purlescence Yarns on September 22, 2012 from 10am – 4:30pm, the cost is $120. Registration is limited; please call 408-735-9276 to reserve your place in the class. Gigi is working on the Mishke. A lot. Jasmin is working on the sleeve of Andrew's Baseball Jersey. Gigi has started on the sleeves of the Featherweight. Jasmin is working on her Breezy cardigan. She is also working on her Daybreak. Biobands allow her to knit in the car. Gigi is also working on the Sister Joan shawl. Episode 194 will be a day late, since we are attending the Monterey Wool Auction on Monday. Our tentative start date for the SPAKAL sweater knitting is the beginning of September. We talk about the latest episode of Project Runway, and mention What Not To Wear. We answer a question about how to wind yarn by hand. We mention using a nostepinne. Gigi is repeatedly attacked by her Mishke. 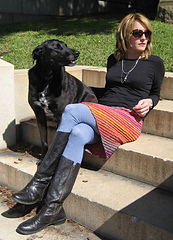 This week we purloin Aquisitions, from Knitting MinKnits, hosted by Mindy Vasil. Ava &amp; Donna are frequent contributors to Piecework, Knitting Traditions, Crochet Traditions, Spin-Off, and other publications. They are leaders in the field of historical textile scholarship &amp; preservation. Stories &amp; Stitches will be at Purlescence Yarns on September 22, 2012 from 10am – 4:30pm, the cost is $120. Registration is limited; please call 408-735-9276 to reserve your place in the class. Coleman and Druchunas are frequent contributors to Piecework, Knitting Traditions, Crochet Traditions, Spin-Off, and other publications. They are leaders in the field of historical textile scholarship &amp; preservation. Stories and Stitches with Ava T. Coleman and Donna Druchunas will be at Purlescence Yarns on September 22, 2012 from 10am – 4:30pm, the cost is $120. Registration is limited; please call 408-735-9276 to reserve your place in the class. One Minute Baby update: Genevieve is on the move! Gigi is working on the sleeves of the Mishke by Cocoknits. Jasmin is working on the sleeves of the Baseball Jersey from Knits Men Want. Gigi is making good progress on the Featherweight cardigan by Hannah Fettig. Jasmin is working on a pair of Houdini socks for Andrew. Jasmin finished the Ribbed Baby Jacket for the Ravellenic Games. She needs to block the Mini Mondo Baby Cardigan. She bought a number of patterns for shawls and shared Stephen West's discount code "mysteryrevealed"
This week we answer the question: How do you pick what to knit? Gigi goes with whatever "flavor" of knitting grabs her first; Jasmin mentions the Riverside Shawl, Kristin (aka Voolenvine) from the Yarngasm podcast, and Dr Gemma from the Cogknitive podcast. Jasmin also mentions the Color Affection shawl. This week we purloin the "Guernsey" segment from the iMake podcast, hosted by Martine . We talk about the Rosicrutian Museum in San Jose. We also mention the Rose Garden, and Stitches West. One minute health update by Gigi. This week we review Knit Red , by Laura Zander. We mention the Knitmore Girls colorway by Abstract Fiber, $2 of each skein are donated to the American Heart Association. Jasmin finished the table cloth, and prepped some linen napkins. Now we are working on baby blankets and sack gowns. We are planning to do a tutorial. Jasmin mentions her Evolution serger. Jasmin finished plying for her Goodale sweater. She started spinning the Out of Time colorway by Crown Mountain Farms. We mention the SPAKAL sweater. Gigi is working on the body of the Featherweight Cardigan by Hannah Fettig. Jasmin has picked up the Ten Year Sweater again. Gigi is knitting on the sleeves of her Mishke. Jasmin is also working on Houdini Socks for Andrew. We mention the CogKNITive podcast. This week we answer a question from the "What Do You Want to Hear About" thread, "What kind of sweater would make a good beginner's first sweater?" Jasmin is attacked by the Ten Year Sweater, Gigi has issues with a cardigan she is knitting for Genevieve. We talk about setting up a cutting station, storing a cutting board and scheduling time for sewing. We mentioned Piecework magazine, Interweave Knits, and Threads magazine on CD. Jasmin is plying a mountain of singles. Gigi has finished her spinning for the Eadon, and it is spinning a bit on her Turkish drop spindle. Jasmin has finished knitting on the Mini Mondo Cable Cardi. For the Ravellenic games she started the Debbie Bliss Ribbed Baby Jacket out of Malabrigo Rios. Gigi is knitting Hannah Fettig's Featherweight cardigan in Vail, by Classic Elite. Gigi is working on the Sister Joan Shawl. Also, Jasmin has an "If You Give a Mouse a Cookie " brain and wants to knit a matching sweaters in the Arwen pattern out of Madeline Tosh DK that she had purchased at A Verb For Keeping Warm, and a matching Lamb's Pride, that was originally intended to be a Tilted Duster. Gigi is also working on the Mishke. This week we are purloining "This Week in TV", from the TV Knitting podcast, hosted by StitchMistress. We talk about Season 10 of Project Runway, and the amazing blouse by Ven. This week we review Toe-Up Socks in a Box , by Wendy D. Johnson, and Toe-Up Socks for Every Body , by Wendy D. Johnson. We also mention (and recommend) Socks from the Toe Up . Gigi has one ounce left of her SPAKAL spinning, and has done a bit of spinning on her Turkish drop spindle. Jasmin is plying her shetland singles for the Goodale sweater, and she has been enabling her friends into buying Woolee Winders. She is also coveting a MiniSpinner. This week we review Cardigans by Louisa Harding, and we mentions her books with projects for kids . This week we review Knitting with The Color Guys by Kaffee Fasset and Brandon Mably. Jasmin mentions the Philosopher's Wool . We also recommend Intarsia Untangled by Lucy Neatby . Jasmin mentions Maggie's Ireland , by Maggie Jackson. This week we review The BurdaStyle Sewing Handbook , by Nora Abousteit with Alison Kelly. Gigi is making progress on the border of her Kleio. Jasmin is working on her Breezy cardigan. Gigi finished one of the Hobbit socks for Mr. Knitmore and started the second one. Jasmin has gotten to the border of her Daybreak. Gigi has also finished two preemie hats. We discuss the United States Olympic Committee issuing a cease and desist order prohibiting the use of the term "Ravelympics". We also mentioned the "Woolsack Project", the iMake podcast, and the Yarn Harlot's blog response. Spring Cleaning Contest, ends July 2nd. Read the thread on the board and get ideas and contribute your own! Jasmin is upping the ante- for each extra 50 entries we are adding a new prize. For our sixth prize we added a Pagewood Farms Tinkerbell Needle Felted Silk Scarf Kit, donated by Purlescense Yarns. For our seventh prize we added two pairs of sock blockers by ChappysMom, one set has cats on them, and the other set has skull and crossbones. Jasmin is challenging listeners to add more entries and offering another prize: a hank of Tess Yarns microfiber ribbon, and a hank of Tess Yarn "Whiskers"
Today we answer a question from the "What do you want to hear about thread": Repair a sock or not? This week we review Spin to Knit , The Knitters Guide to Making Yarn by Shannon Okey, published by Interweave Press. We mention roving from Shari of Morro Fleece Works, and Dr Gemma's Cogknitive Retreat, and Judith McCuin McKenzie. Also: Abby Franquemont's Respect the Spindle ; Spindolyn and Bosworth Spindles. We also mention The Intentional Spinner . Jasmin is learning to sew curved edges on her Evolution serger. Nascar and Mario Cars come up in the conversation. A new sewing machine needle is needed for each new project, and ball point needles for knits. Jasmin has been working on her SPAKAL sweater, and is spinning on a drop spindle. Tour de Fleece is coming up, watch Team Sasquatch! Jasmin is working on her Breezy Cardigan by Hannah Fettig out of her hand spun. Gigi has done a few teeth onto her Kleio. Jasmin is working on her Mini Mondo Cabled Cardi, out of Abstract Fiber Miro. Gigi is thinking of doing a Baby Rocky Coast Cardigan for Genevieve. She also has finished a pair of stipey socks out of Regia and cast on socks for Genevieve. Jasmin has put a few more rows onto her Daybreak Shawl. Gigi has finished another sock and hasn't cast on the second one, because she needs to look up directions for the Channel Island cast on. Jasmin mentions Handbreak to convert DVDs to MP4s. We talked about our outing to the Retzlaff Winery, and buying Jensen Turkish spindles from Carolina Homespun. Jasmin also bought some Wood beams wood conditioner there. She also bought two pounds of cormo top from Sue Reuser to make sweaters for Genevieve. She also bought some excellent blush wine from the Retzlaff Winery. We also mentioned the port wine from the Savannah Chanel Winery. We chatted with Tracy and Barb, from the Two Knit Lit Chicks podcast, and Manda from Knitting Psychos. We also talked about our visit to the Neonatal Intensive Care Unit at the Santa Clara Valley Medical Center, which is our local County Hospital. This is the place to which we take the preemie hats that out listeners have donated. Jasmin mentioned the Remembering Remy project. We spent WWKIP day at the Ainsley House in Campbell; we mention the Bar Maids promotion on Facebook. This week we are reviewing Namaste bags: the Boardwalk bag, the mini messenger bag, the Laguna bag, and the Mommy on the Move changing pad/wipe case combo. Jasmin has been working on spinning some Rambouillet while wearing Genevieve in the Ergo carrier. Thank you's to the other podcasters who are team leaders for Team Sasquatch for the Tour de Fleece. BONUS! After the "outro" music, some audio from DangerMouse! Entangled Magazine is a magazine for all fibrecrafters and brings you inspirational stories from around the world. If you enjoy the in-depth thoughtful discussions the Knitmore girls have about fibre, you will enjoy the articles in entangled. Entangled is independently published and you can help make their story a success. This week is the final week of their indiegogo campaign, where they are offering amazing rewards in return for your donations. Check out the indiegogo page to find links to free articles and our free preview issue! them all.) Join us afterward for a book signing event from 5-7pm. Last but not least, come sample our local wares at Black Sheep Gathering in building 2, booth #12. Gigi hast cast on the Sister Joan Lace Shawl by Sivia Harding, from the Abstract Fiber One Skein/Two Skein club. Jasmin has finished the garter wrap baby kimono out of Skinny Bugga. Gigi cast on the Maria sweater by Cocoknits out of Shibui Silk Cloud. Jasmin is also working on the cabled raglan baby sweater, an Interweave Knits freebee from Knitting Daily, out of Abstract Fiber Miro. Gigi has started the cuff on her second Houdini sock, and is knitting tube socks for Genevieve. Jasmin is also working on her Daybreak. Advice for this week: Read the Manual! Gigi was attacked by the decreases on her Mishke sweater. This week we are stealing : Stashbust Army from the Yarngasm podcast, hosted by Voolenvine. We are talking about stash grooming instead of stash busting. We mention A Verb for Keeping Warm. Cool Knitters Finish in Style, by Lucy Neatby. We also mention Lucy's instructional DVDs. Jasmin has sewn a sack gown for Genevieve on her new Baby Lock Evolution serger! Happy fourth podcast-iversary to us! We are listening to vintage knitting music recorded by Melanie Gall (Knitting All the Day). We like it a lot. Look on Pinterest for good organizing ideas. Jasmin learned how to do mitered corners on blankets from the tutorial in the July/August 2003 issue of Piecework magazine. And she sewed piping on a blanket using the instructions in Fantastic Finishes from Rodale's Successful Quilting Library. Gigi learned how to do the knitted graft from the Knitting Daily. This week we are stealing "Today's Sweater" from Cast On hosted by Brenda Dayne. Jasmin is sewing blankets for Genevieve, using different edge treatments. And sewing piping, rick rack, and mitered corners is not hard. Jasmin has been spinning for her SPAKAL. Her totals are 5 oz on the wheel and 5oz on spindles. She has switched from spinning on the KCL woods spindle to the more economical Ol'Lars spindle (425-255-3073). We also heard that Abby from the Knit Knit Cafe podcast has finished her SPAKAL spinning. Join Team Sasquatch for the Tour de Fleece! This week Gigi is working on the Kleio shawl by Rosemary Hill. We mention taking knitting classes from Ann and Eugene Bourgois, of Philosopher's Wool, and learning two handed knitting and doing knitted braids. Gigi got pointers from Abby (from the Knit Knit Cafe Podcast). Jasmin finished the Mini Garter Yoke Cardigan for Genevieve, which she had knit from her handspun. Gigi is working on a number of socks and has finished her first pair of Sweet Tomato Heel socks. Jasmin is working on her second Houdini Sock. She is also working on the Garter Wrap Cardigan for Genevieve and is almost done. Gigi has blocked the Taygete, the Katriel, and her second Daybreak. Gigi is planning to knit a Niebling pattern, the Goldmohn table cloth. Tour de Fleece: Training will start May 15th. Join Team Sasquatch! June 22-24: Black Sheep Gathering in Eugene, OR. Maybe. Anything worth doing is worth doing well. Especially when one is finishing hand knits. Gigi's Odelia sweater out of 50/50 silk and merino from Tess Yarns attacked her again. This week we purloin the "Something I Really Like" segment from the CogKNITive podcast hosted by Dr Gemma. This week we review: Knitbot Essentials by Hannah Fettig. We love it! Gigi's spinning for the Eadon is progressing slowly, but she is enjoying the Merino/Corriedale. She bought some Ashland Bay roving (in "Mojave"), and some Crown Mountain superwash merino roving in the colorway "Homburg" from Purlescence. She is thinking of spinning it on her Golding spindle. Jasmin is plying an oatmeal CVM. She finished plying Crown Mountain cormo that has a beautiful luster. She has started the wheel spinning for her SPAKAL sweater. The fiber is a rambouillet cross from Maryland Sheep and Wool Festival. Gigi is making progress on her Odelia sweater. Jasmin has made some excellent progress on the Houdini socks for Andrew. We mention Laura, the Joy of Cooking Fairy. Gigi is knitting a bumper crop of sweet tomato heeled socks. Gigi is also knitting a pair of Houdini socks. Jasmin is also working on wedges, hers are in the shape of the Roxbury Pond Shawl by Christine Burchard, out of Handmaiden Casbah. Gigi is working on the Kleio by Rosemary Hill. Jasmin is excited about sewing, we talk about the clothing in "Mad Men", and we would love to sew clothes from that era. Also, Gigi has blocked two Ophidian shawls by Sivia Harding, and a Heart to Heart Scarf (also by Sivia Harding). June 22-24: Black Sheep Gathering in Eugene, OR. Maybe. Registration for classes has started. Clean, organize, streamline something. Jasmin has sold two fleeces that she has spun sweaters from already. Gigi has repurposed an old filing cabinet and used it for very organized sewing pattern storage. Share your ideas and projects in this thread! Work with the best you can afford. When you can't afford to spend money, make due with what you have, and MacGuyver something until you can afford the tool you want to have. Gigi was attacked by her mending. We are purloining the "Munch, Burp, Slurp" segment from A Playful Day podcast by greentrianglegirl. Jasmin talks about making Chewy Oatmeal cookies with browned butter. Recipe from The Smitten Kitchen blog. Also, follow Somebunnyslove's food board on Pinterest, she has some very interesting food pinned. This week, we are reviewing Noni Flowers by Nora Bellows. We also mentioned Nicky Epstein's Knitted Flowers . Gigi isn't spinning as fast as she thought she would. Jasmin is plying like it's going out of style; Jasmin has been plying the Crown Mountain Farms Material Girl singles and the oatmeal-colored CVM for a Hannah Fettig sweater. Jasmin has been making some progress on her Spindle SPAKAL Targhee X. She has chosen a black Rambouillet X (from Iris Eppley) which she split with Meghan (formerly of the Stitch It! Podcast) for her wheelspun SPAKAL sweater. Jasmin is inspired to knit a Houdini sock for Andrew, with some improvements. We mention the New Pathways class by Cat Bordhi. Gigi is working on a sock with a Sweet Tomato heel. We also mention Lucy Neatby's Cool Socks for Warm Feet and Nancy Bush's Folk Socks. We mention Miss Kalendar (of the Brass Needles podcast) and her love of turning short-rowed heels. Jasmin is still working on her CampKIP KAL Daybreak Shawl. Gigi has finished her Sharks Daybreak scarf for Sam. We officially announce the pattern for the SPAKAL: The Eadon cardigan by Susanna IC. We talk about knitting in bed. We recommend getting a backrest (Jasmin has this one , Gigi has this one), and making sure you have a good mattress. Savvy Girl Melanie (from the Savvy Girls Podcast) comes to visit and (unintentionally) wreaks havoc on Gigi's Morehouse Merino dragon scarf. 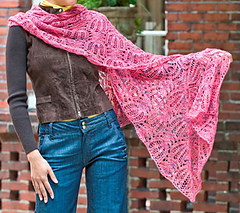 Gigi flips the colors on her Kleio shawl (by Rosemary Hill). Gigi also downloads her first (solo) pattern- the Mishke by CocoKnits, and realizes that she's short on yardage. This week, we steal the "Guess who's crazy?" segment from the (former) KIPing it Real podcast (now the Positively Over Committed podcast). Jasmin has decided to do one SPAKAL sweater on a drop spindle, and one on the wheel. Challenge ACCEPTED! For our actual review, we review Juju's Loops. Gigi gives it an "eh", Jasmin really likes it. Jasmin dusts off her Schacht-Reeves saxony wheel and spins some of the Crown Mountain Farms cormo. Gigi picks her fleece for the SPAKAL- a medium grey merino/corriedale fleece (from Janet Heppler) from a sheep named "Banditta". We talk about measuring out (CLEAN) weight for spinning a sweater. Gigi has measured out her SPAKAL fiber into 1 oz bumps, and is trying to spin 1 oz per sitting. Trusted and recommended sources for wool: Shari at Morro Fleece Works, Brooke from Sincere Sheep, Crown Mountain Farms, Purlescence Yarns (for Ashland Bay roving). Jasmin also mentions the 6" plastic Schacht weaving bobbins. Jasmin is spinning her drop spindle SPAKAL sweater on a modular KCL drop spindle. You can find the thread for the SPAKAL here. One minute update: SharkBean (Genevieve Danger) has been born. You can read her birth story here, you can see pictures of the love blanket here. You can follow Genevieve's adventures on twitter as @dahlingdaughter, her Flickr stream here, or on Jasmin's blog. Gigi is working on hobbit socks for Mr. Knitmore. She made a foot form out of duct tape. Jasmin is working on a pair of socks for Andrew out of Skinny Bugga, and is considering doing a pair of Houdini socks for him. Jasmin is working on her Daybreak shawl out of Froebe Fibers yarn from Camp KIP. Gigi is working on her Sothia shawl out of Abstract Fiber MightySock. Jasmin is working on her Breezy Cardigan (out of the baby cormo handspun). Gigi is knitting a Morehouse Merino Dragon scarf out of Malabrigo. We mention the Harry Potter house cup. Jasmin is working on the Garter Yoke Baby cardigan and the garter wrap cardigan (from Churchmouse Yarns). Congratulations to Isabelle from the Fluffy Fibers podcast, who had her baby in February. Gigi mentions Stitches ETC. Gigi took a lace repair class at the Lace Museum in Sunnyvale from Galina of Skaska. OFFICIAL PODCAST STUFF: We'll be recording every other week until the end of June, then we'll be weekly again starting in July. We announce the SPAKAL! In 2012 we're going to do a SPin-Along-Knit-A-Long. Six months to spin the sweater, three months to knit the sweater. Step 1: Think about what you want to spin your sweater out of. Brooke from The Sincere Sheep (email: sinceresheepyarns AT gmail DOT com) is happy to help you procure a fleece. Shari from Morro Fleece Works can also help you select some pindrafted roving (from a fleece). We review the Knitter's Pride needles. While they are very pretty, we found them to be defective out of the package and the customer service to be poor. Gigi's spinning is improving. Jasmin is doing a whole mess of swatching for plying. You can find Fiona's website here, her teaching schedule here, and she is on Ravelry as fionaellis.